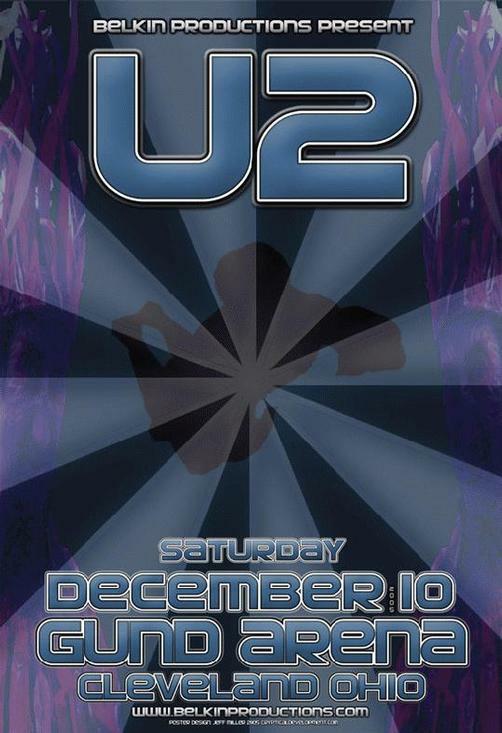 Original concert poster for U2 at The Gund Arena in Cleveland, OH. 13x19 card stock. Art by Jeff Miller.